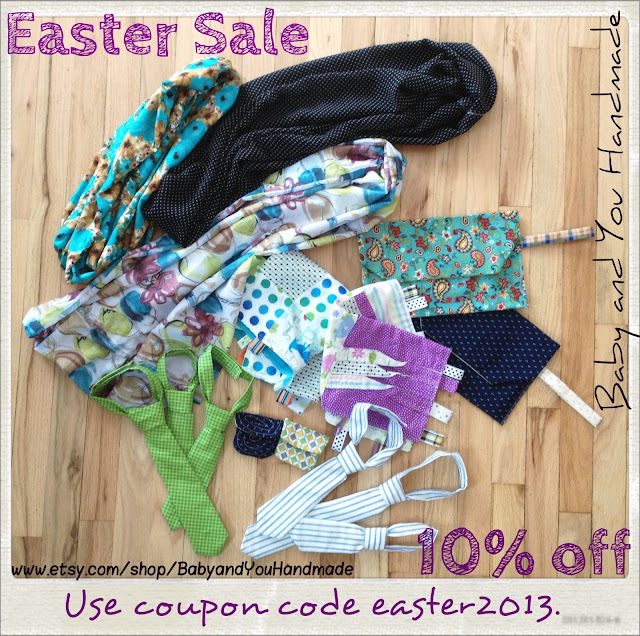 My etsy shop, Baby and You Handmade, is having an Easter sale right now. Get 10% off! You can buy ties for your little ones or a scarf for yourself. Upon purchase of the item, use coupon code easter2013 to claim the discount. Pass this on to anyone you think might be interested. Thanks! Visit the shop at www.etsy.com/shop/BabyandYouHandmade.